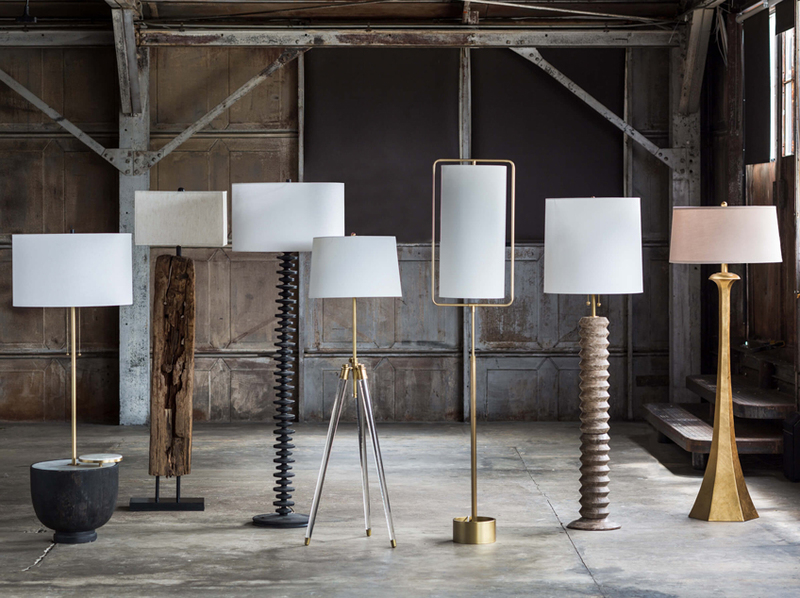 Founded on the belief that everything should electrify the room, Regina Andrew seeks to create designs that are unforgettable in both vision and execution. Carla Regina Zajac and James Andrew Slaven started Regina Andrew from their combined middle names. Their brand focuses on the balance of yin and yang, or “grit and grace” as they describe it. Created in the “Paris of the Midwest”, Regina Andrew was founded in Detroit (hence the name RAD for Regina Andrew Detroit) with a focus on intense dedication to detail and always pursuing the unexpected in all of their products. Carla brought cool femininity and her unmistakable style to become the visual storyteller of Regina Andrew. Her husband James loves to stretch the boundaries of inspiration and design with ingenuity and energy. Together, the married couple created their first product, a designer doghouse for a charity fundraiser. The two are animal lovers and to this day have a partnership with Last Day Dog Rescue and donate 100% of the proceeds from their canine-themed bag collection to the rescue group. Their philanthropic endeavors don’t stop here, Regina Andrew also supports Habitat for Humanity, Goodwill Industries, The Salvation Army, and the American Cancer Society. Today, Regina Andrew creates innovative designs that stand out in the industry for their cutting-edge innovation and quality craftsmanship. With one-of-a-kind personality and authentic detailing, Regina Andrew designs are distinct and recognizable. Their customer service focuses on approaching people as human beings with a personal connection to form long-lasting relationships and trust. Regina Andrew is also focused on being green and sustainable for the environment. Their corporate offices and warehouses are 100% solar powered, and they often transform reclaimed and recycled objects into new pieces of beauty. These are just some of the initiatives they take to be “RAD.” Their main principles are to keep it real, put people first, seek the unexpected, go the extra mile, ignite self-expression, and do good. Regina Andrew Detroit released their new line of designs for 2019. From chairs and tables to mirrors and sculptures, the line features a variety of new items and pieces to update and elevate your interior. 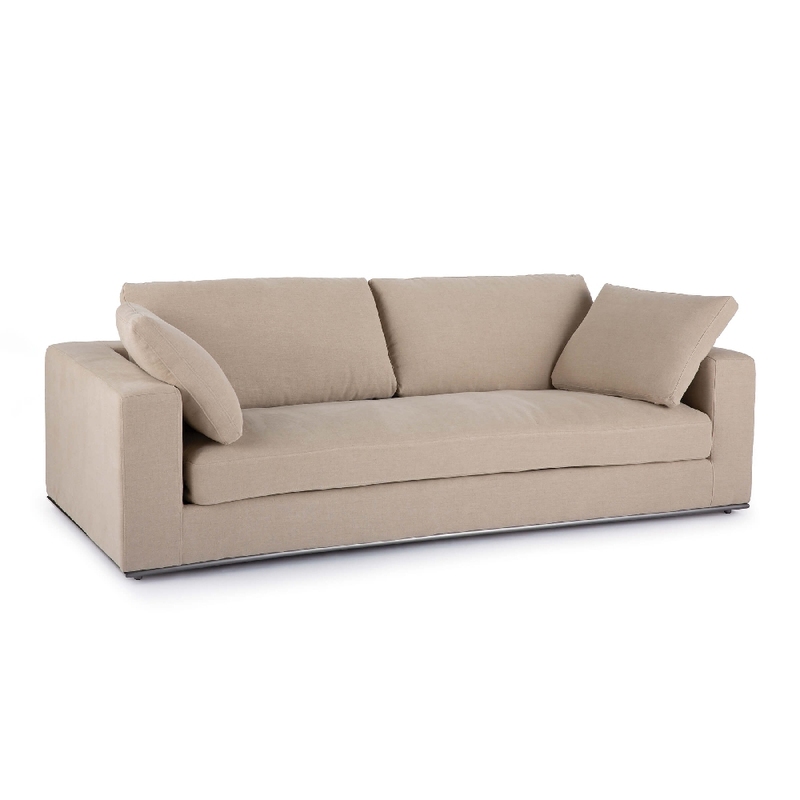 Starting with seating, a new line of sofas available in leather and linen are available this year. 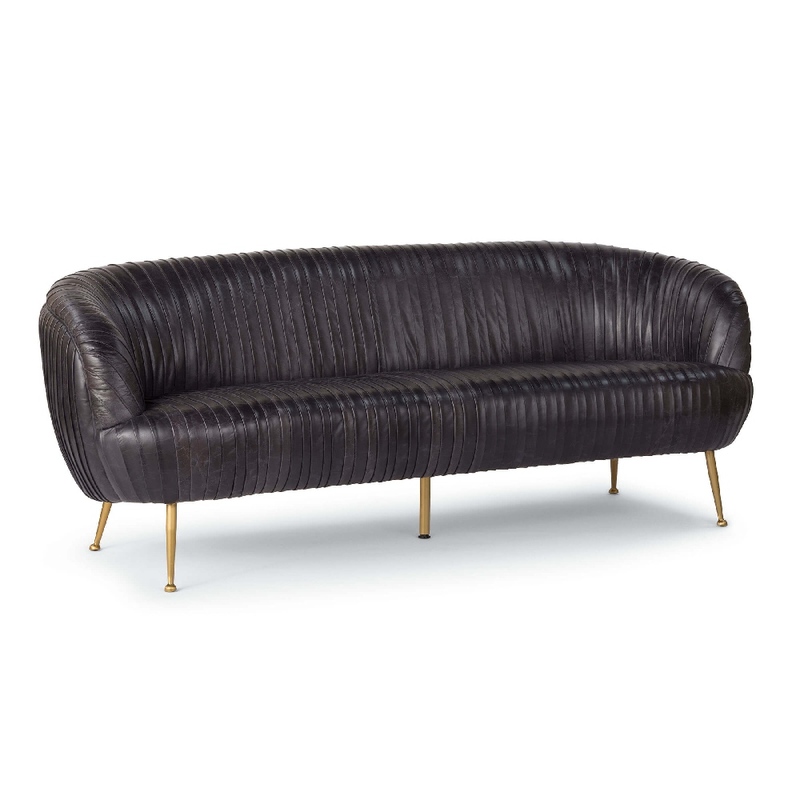 The Regina Andrew Home Beretta Leather Sofa combines vintage accents with contemporary details for a truly unique sofa. 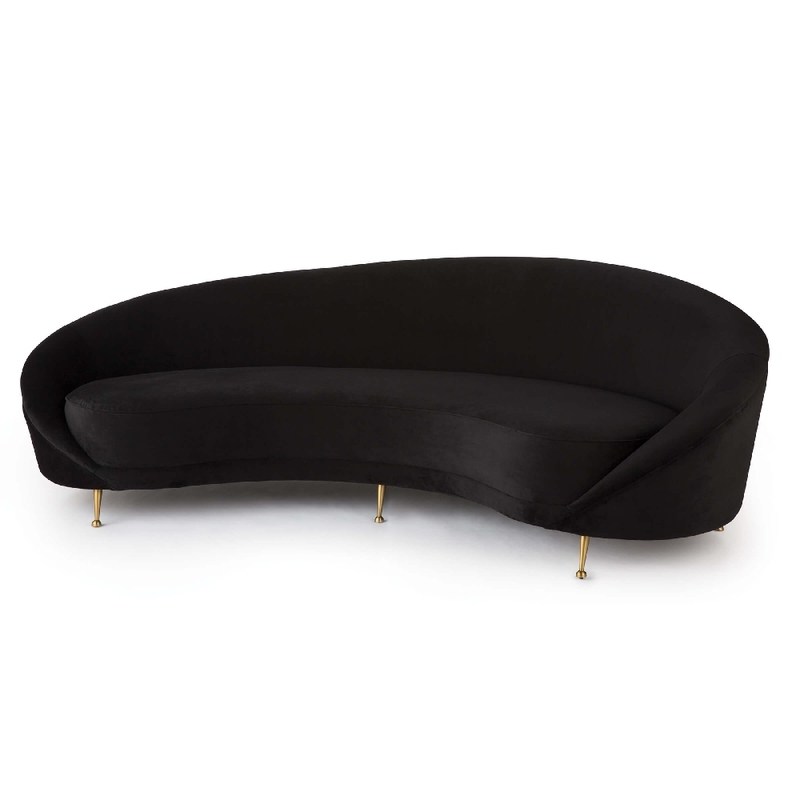 This sofa is available in modern black or cappuccino. Looking for a more traditional sofa? 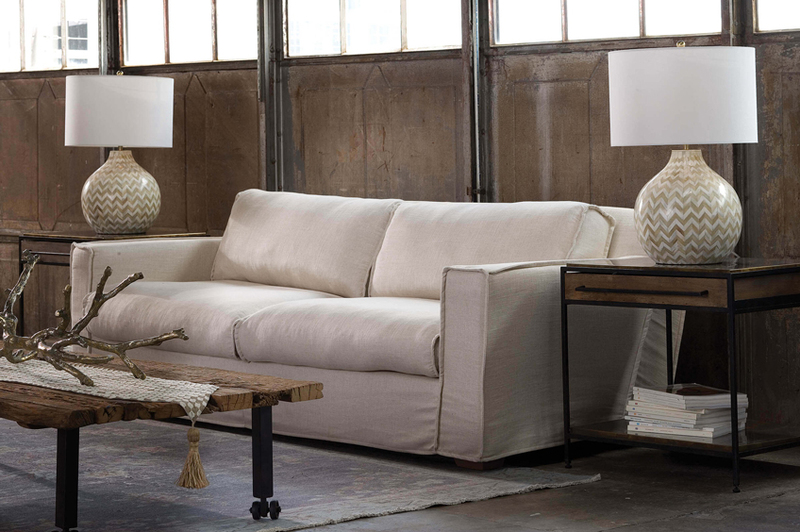 The Regina Andrew Home Maddy Linen Sofa is a great option for a fresh take on the typical sofa. For an ultra-modern take, the Regina Andrew Home Whitney Velvet Sofa is perfect with its innovative curved design that is sure to stand out. 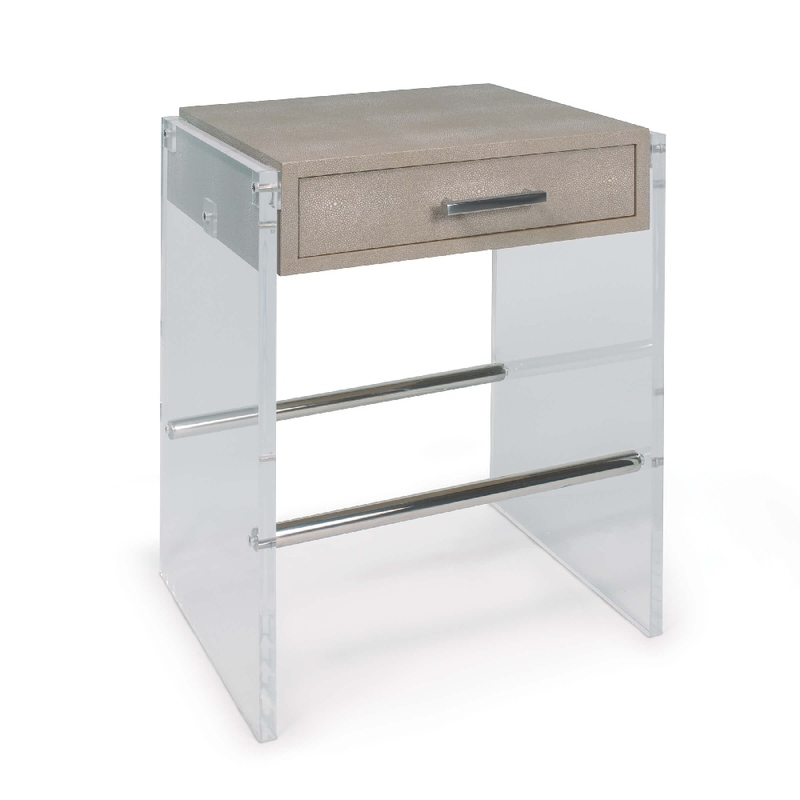 For other furnishings, the new 2019 Regina Andrew line features the Regina Andrew Home Odette Coffee Table which is perfect for a modern space. 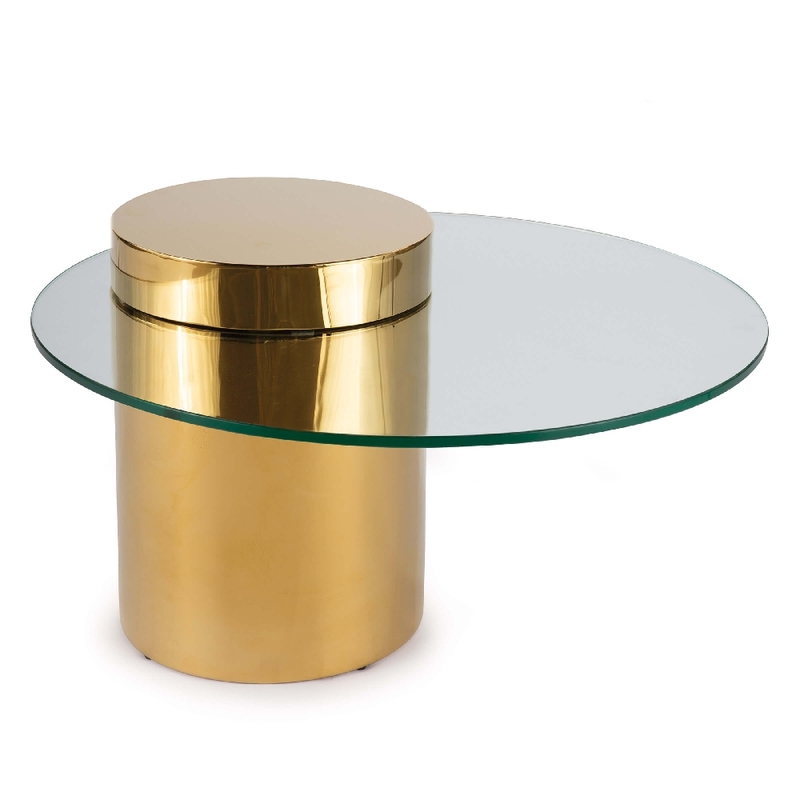 For a modern end table, the Regina Andrew Home Lucite End Table is a wonderful option with a juxtaposition of natural materials and lucite sides. 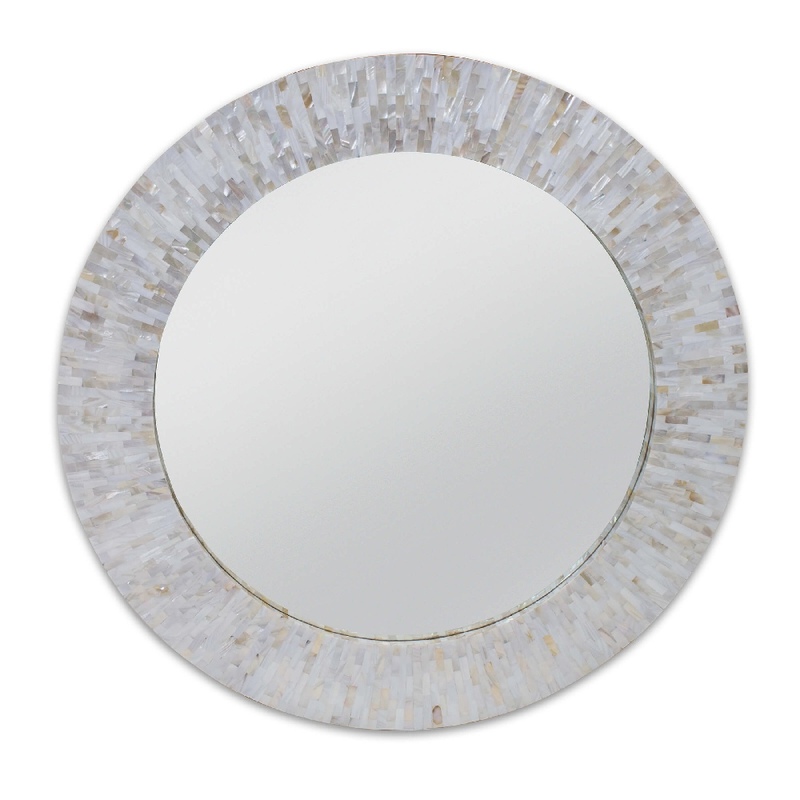 Mirrors are a great way to open up and revamp a space, and the Regina Andrew Home Chantal Mirror is a perfect option for an interior that feels crowded. Are you loving Regina Andrew as much as us right now? Get inspired by their luxurious decor today!